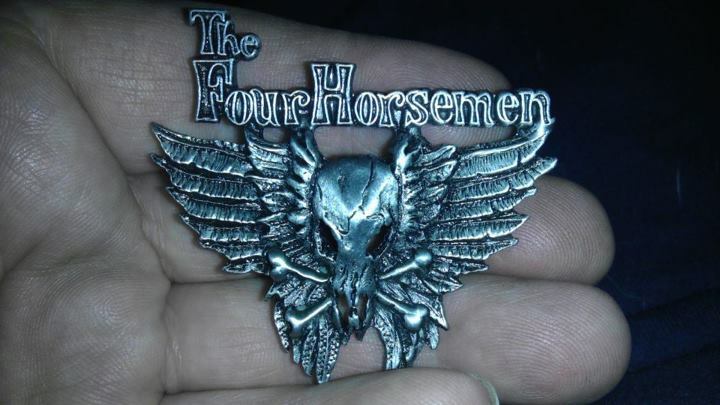 Remember the phrase “If it wasn’t for bad luck I’d have no luck at all?” It seems to me that applies to one of my favorite bands, the Four Horsemen. Their debut record Nobody Said It Was Easy was released in August 1991, several weeks before Nirvana released Nevermind and everyone focused their ears on the Seattle sound and changed the face of popular music as we know it. The Four Horsemen had the right equation for super stardom between 1986-1990: a frontman who had the looks and attitude took keep an audience enthralled, a twin guitar assault team who disguised a little pop sensibility into their nasty riffage, and songs that got into your head and took up residence.. They just happened to release Nobody Said It Was Easy a little too late. I read somewhere that back in the mid80s, Four Horsemen singer Frankie Starr came across newly arrived W. Axl Rose on the Sunset Strip and gave him an earful about how Frankie would be a star while Axl wouldn’t amount to anything. Frankie had some balls that’s for sure – the line from the riff-tastic “Rocking Is Ma Business” goes “the book on rock and rock, MF, I wrote it!” Or how about this one from the scorching “Let It Rock”? – “Half a year from now we’ll all be millionaires.” Unfortunately Frankie was wrong – Axl became the mega-star and the Four Horsemen became anything but millionaires. 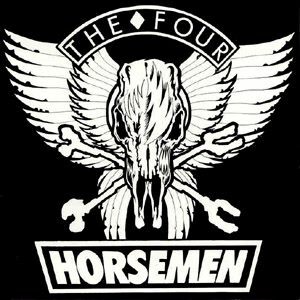 Dirty, loud, obnoxious, sleazy these guys have inspired plenty (look at the picture and you’ll see what I mean)Four Horsemen music for me is still as fresh and meaningful as when I first heard it. 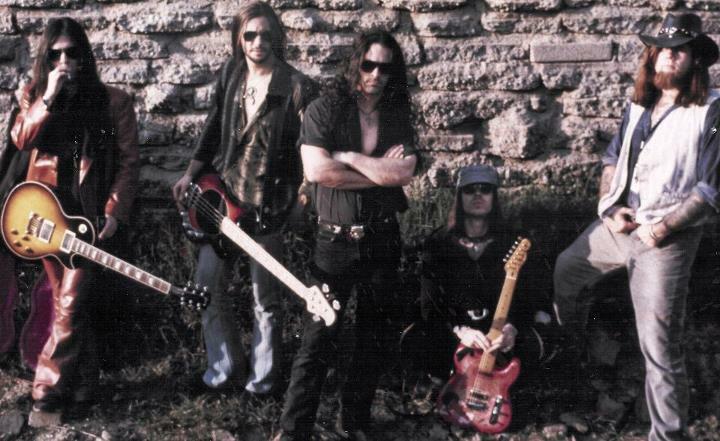 Their debut full length album, Nobody Said it Was Easy, produced by Rick Rubin, was released in 1991, following a two year delay when Starr was arrrested on drug charges and spent six months in jail. The album generated the title track as a single, followed by the hit “Rockin’ Is Ma’ Business”. However, Starr was arrested again and this time spent a year in jail on a drugs charge. This, combined with poor album sales as the grunge scene started to take over from traditional rock, caused their record label to drop them in 1992. Before they could recover and try to regain some ground they were hit by two tragedies like a blast from a double barreled shotgun. on Sept. 27th (my birthday wouldn’t you know) 1994 original drummer, Ken Montgomery, died of a drug overdose. Then in November, 1995, Starr was hit by a drunk driver, while driving his motorcycle down Sunset Strip. Starr suffered a severe head injury which left him in a coma. Though it was initially hoped that Starr would recover, he eventually died on June 18, 1999. Following Starr’s death, the band broke up. This entry was posted in Classic Metal, Classic Rock, Heavy metal, Metal, Music, Rock, Rock N' Roll, RockStar and tagged 80's, Bleach Bangs, Four Horsemen, Hard Rock, Heavy Metal, Metal, Music, Rock, Rock Star, Rockin' Is Ma Business, RockStar, the Hellion. Bookmark the permalink. ← What do you mean Rock N’ Roll isn’t relevant any more? One of THE best rock bands of all time in my book. Keep up the great reviews and blog!